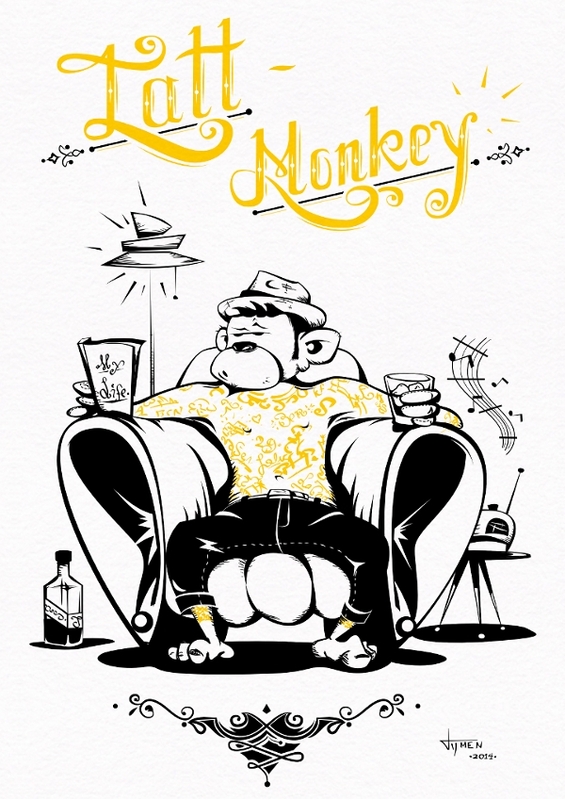 Illustrator Tijmen Ploeger brings you a self portrait in the shape of a monkey reading a book about his life – and being surprised by the chapter he’s reading- while listening smooth jazzy music. The tattoos are symbolic of cities he’s lived in and people he’s met on the way so far. It is also available as an A5 print from the Itchi5 shop.